BlackMoon is the PUP that uses misleading techniques to prevent removal. Use Reimage to locate malicious components and get rid of them faster than with uninstall instructions. A full system scan blocks virus reappearance and prevents traffic to malicious domains. How does BlackMoon banking Trojan act on a compromised computer? How to remove BlackMoon malware from the computer system? The notorious BlackMoon Trojan, which is also widely known as BlackMoon virus or W32/Banbra, was first noticed and researched in 2014. This specific malware example is developed with an intention to steal victim’s banking information by redirecting the victim to phishing websites. Unfortunately, this damaging virus spreads rapidly, and it has already successfully infected more than 100,000 computers. It mainly targets computer users in East Asia region, mostly in Japan, China, and South Korea. Once it gets into victim’s computer system, it drops various infectious files. The Trojan introduces itself as a DLL file, which can be launched via the rundll32.exe executable file. This banking Trojan is designed to reroute the user to fraudulent websites whenever he/she attempts to access a search engine or an online banking portal via one of affected web browsers. BlackMoon virus can modify all the major web browsers on Windows, including Mozilla Firefox, Google Chrome, and even the new Microsoft Edge. Before rerouting the user to a phishing website, the Trojan showcases a message (which can be presented in Korean, Japanese, or Chinese language), which states that the user has to complete “the security certification process,” which can be finished by signing into a bank account. Of course, this is nothing more than a scam, because then the user gets rerouted to a phishing website and all information he/she enters falls into cyber criminals hands. This trojan can collect information including victim’s personal and work phone number, social security numbers, credit card details, keystrokes, passwords, and similar sensitive data. It reaches crooks’ Command and Control servers and can be used for illegal purposes immediately. If you presume that your computer has been compromised by this malware, do not wait and remove BlackMoon Banking Trojan from your PC immediately. You can check if your computer is infected with some kind of malware and remove it with anti-malware software. We suggest using Reimage or another reputable malware removal tool to detect and delete spyware/malware threats from the computer. 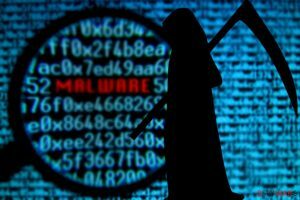 Sadly, the manual removal of this Trojan would be a time-consuming process, and it would require a lot of your time even if you are an advanced PC user. Reportedly, BlackMoon Trojan spreads via drive-by downloads, which means it can get into victim’s computer system by taking advantage of vulnerabilities in outdated software. Additionally, this variant of malware can be downloaded in conjunction with fake software updates, typically Java Player or Flash Player updates. While these programs are entirely legitimate, cyber criminals tend to exploit users’ trust in these programs by bundling infectious files with them and promoting such modified updates via insecure Internet sites. Therefore, we highly advise you to stay away from unknown websites and avoid downloading well-known software from them because such downloads can contain malicious files and severely damage your computer system. Needless to say, you should always keep all your programs up-to-date and also protect your computer with a strong anti-malware solution. BlackMoon virus is a highly dangerous computer threat, and you should NOT try to deal with it on your own unless you are an IT expert. It is a well-programmed piece of software, which tends to hide its executive files under safe-sounding filenames. BlackMoon removal should be done automatically, using a powerful anti-malware software. We recommend scanning the entire computer system a few times to ensure this threat is entirely removed. Then we suggest changing all your passwords, logins, PINs, and other essential information to prevent cybercriminals from stealing your money from your bank accounts. This entry was posted on 2016-07-25 at 05:37 and is filed under Trojans, Viruses. You can quickly scan the QR code with your mobile device and have BlackMoon virus manual removal instructions right in your pocket. How did you remove BlackMoon virus?